Sound Booth Blankets Producer choice were designed to go on a frame of a sound booth for sound absorption, and to prevent a “boomy” sound. They measure 80 inches wide by 80 inches long with nine 2 inch Velcro tie ups at the top. The tie ups are for suspending the blankets on a horizontal support bar. So if you, for example, made your own frame out of 0.5 inch PVC pipes, you can easily hang these blankets on that frame. 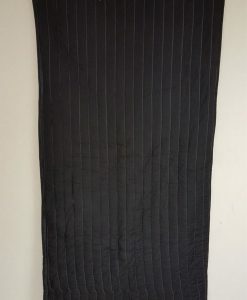 This is a set of SIX blankets with Velcro tie ups, but they DO NOT include grommets. Producer’s Choice Sound Booth Blankets are designed for hanging on a frame of a mobile sound booth to absorb sound bouncing off of the dense soundproofed walls of the sound booth. Blankets are made out of the same Producer’s choice material with 80-% noise reduction ( NRC 0.8) as all other our blankets. The black color provides total darkness and controls the lighting, making the blankets invisible in the dark. The white side of the blankets designed to face the inside of the to make interior lighter and less “claustrophobic”. 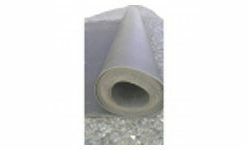 This sound blanket is filled with sound absorptive recycled cotton fibers and the outer material made from cotton-mix fabric. These are washable, very nice soft, thick blankets designed for soundproofing with enhanced acoustic sound absorption qualities. We also installed grommets on these blankets so they can be used to hang on a regular wall on screw hooks. The. Producer’s Choice is not just our brand name, it’s a fact! Producers choose our blankets time and time again for soundproofing vocal booths and acoustic room treatment. 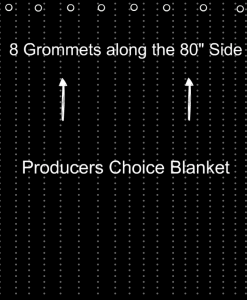 Producer’s Choice blankets are made from an outer poly/cotton material and 100% cotton internal fibers. Grommets: 8 grommets installed along the top for easy mounting.